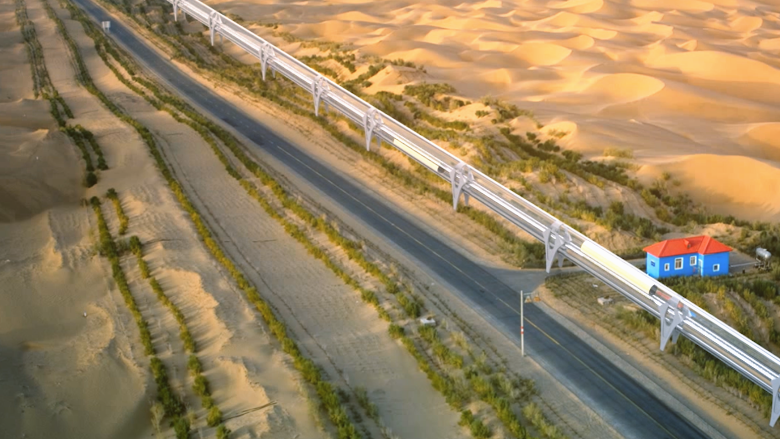 The Hyperloop is the concept for a new high-speed transportation system. While the idea of people traveling in tubes has been around for more than a century, entrepreneur Elon Musk drafted actual blueprints for the Hyperloop in 2013. He then challenged the engineering community to build it. On the pages that follow are artists' renderings and mockups of what the Hyperloop could look like.